Check out our nice collection of Unmounted Butterflies, Dried Insects, and Insect Collector Supplies We have entomology supplies and papered specimens from all around the world! The Butterfly Company is a major supplier of exotic unmounted butterflies, dried insects, and papered specimens from around the world. Over 2000 to choose from with color pictures. You can use the butterfly specimens to create your own art, make a memorable craft project out of them, or for your personal butterfly collection. All butterfly specimens or sale are farm raised butterflies from around the world that died from natural causes. 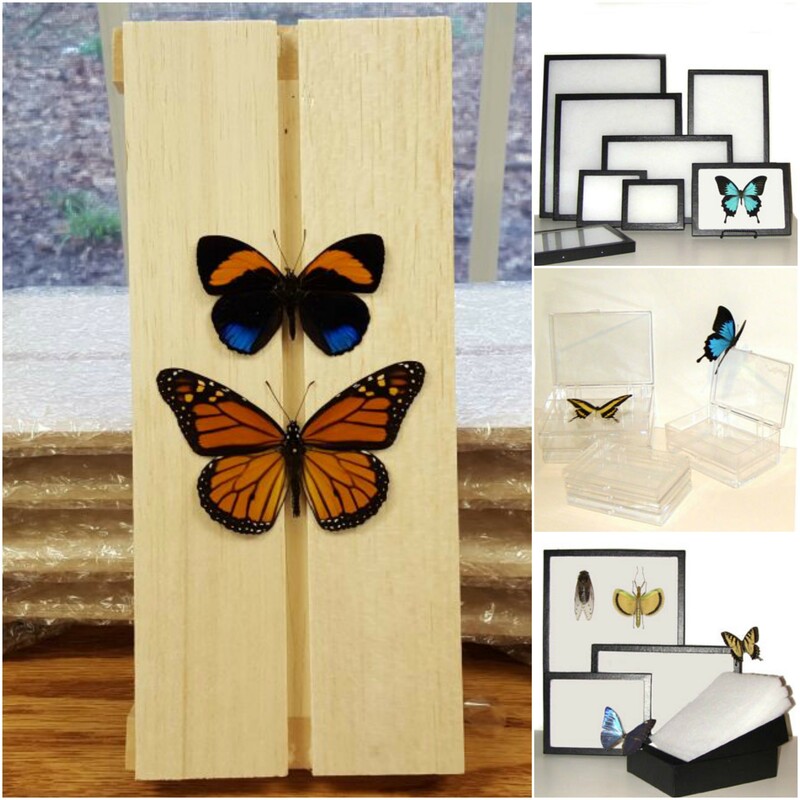 If you are an insect collector, you can check out the vast range of supplies that The Butterfly Company has in store for you. Everything that you’ll ever require to satisfy your hobby is a click away.